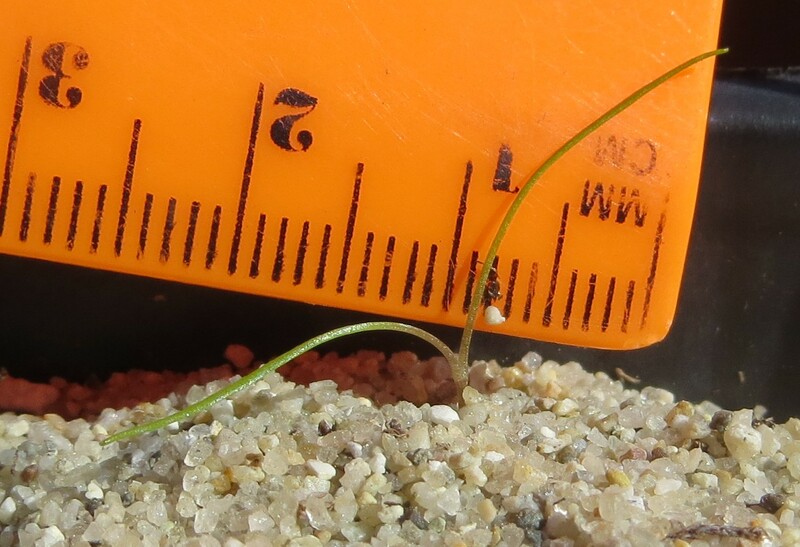 It has been a while since I blabbered about the cotyledons of Claytonia, but I want to let you all in on something I find VERY interesting… … so maybe we should start with a survey, to see what you think. 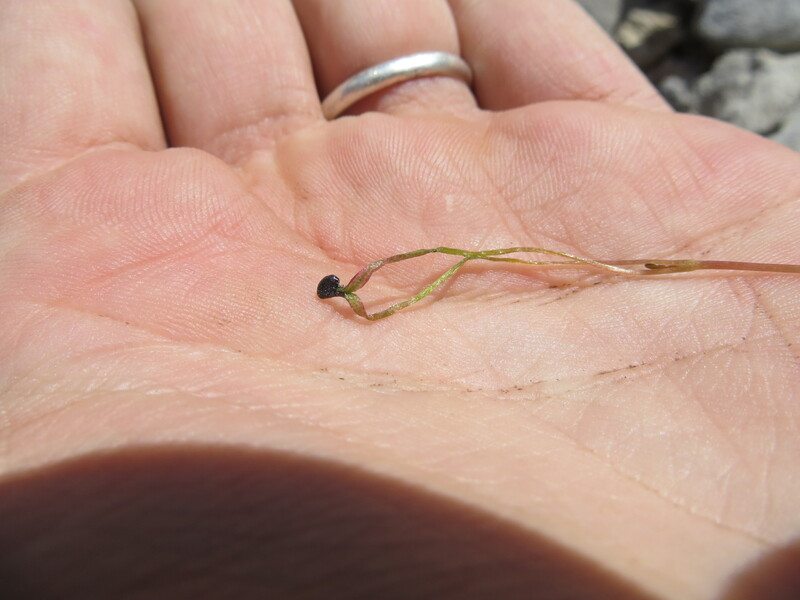 How many cotyledons do you think Claytonia have? Keep in mind, they are dicots. 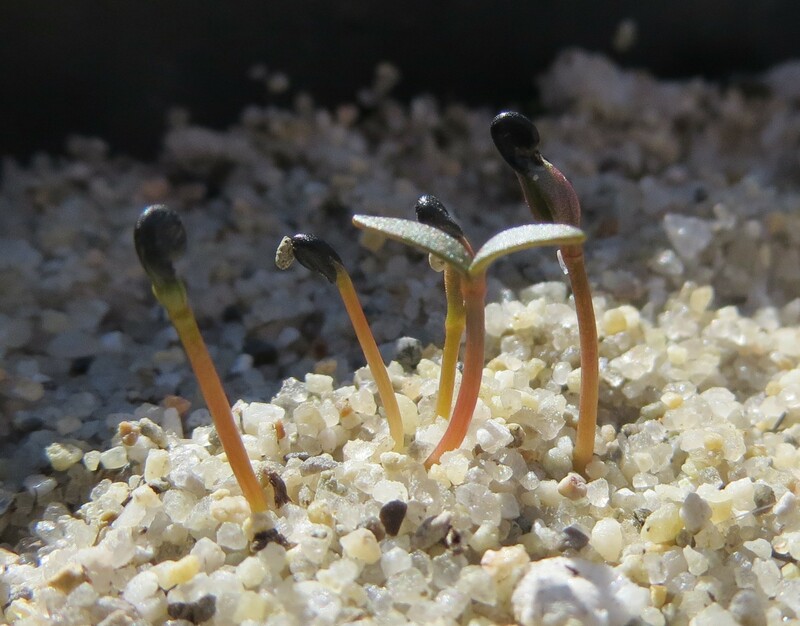 So who cares, there has been a loss of one of the cotyledons in this group of plants. One time only evolution, and now these plants simply can’t recover that lost cotyledon — I’m over it… right? WRONG! 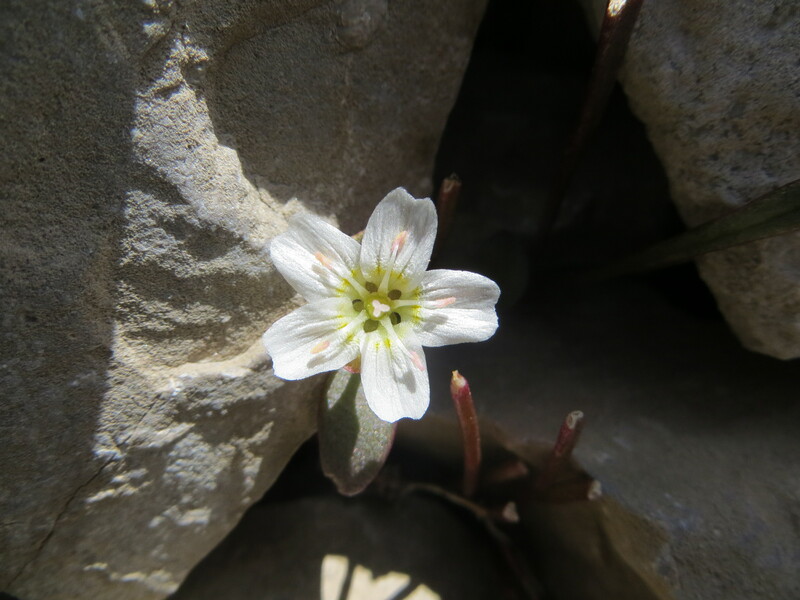 There is something fishy going on here, and it has to do with a certain caudicose perennial I have mentioned before: Claytonia megarhiza (pictured below). Above is a preliminary phylogenetic tree that I presented at the Botanical Society of America Meeting this year in Edmonton, Alberta, Canada. This tree has been developed from ~500 single nucleotide polymorphisms isolated from the nuclear genome of all of the samples included (using ddRADseq). 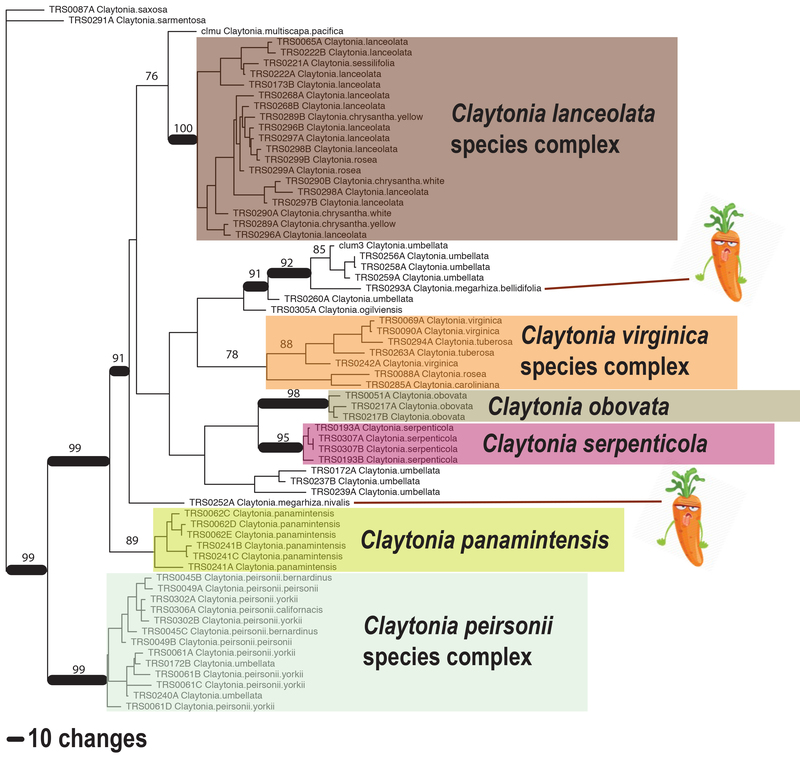 You can see from the tree that the caudicose perennial C. megarhiza (indicated by [morphologically similar, but anatomically quite different] cartoon carrots ) clearly has a close association with the tuberous, perennial Claytonia, albeit the exact area in the tree where they will stabilize is still yet to be determined. 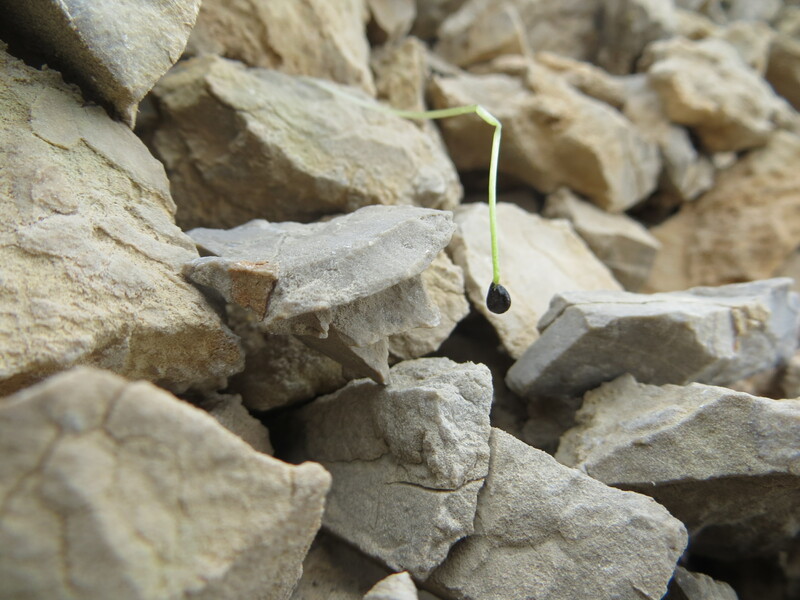 Without question, Claytonia megarhiza is nested somewhere in this clade of otherwise tuberous, perennial Claytonia. 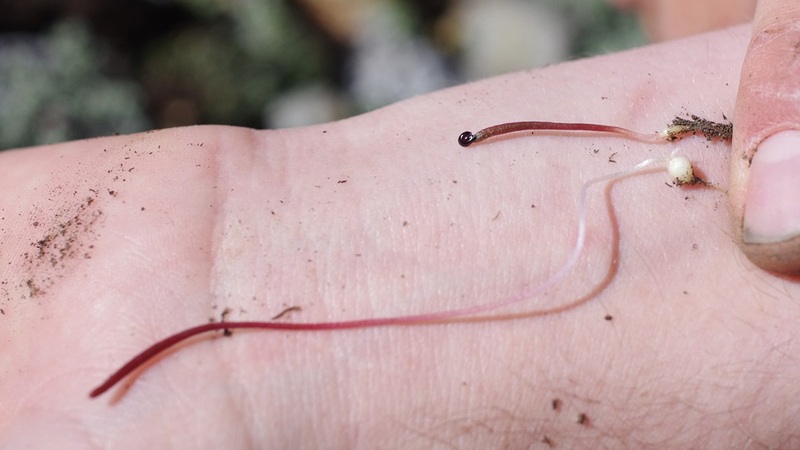 This entry was posted in Claytonia lanceolata species complex, Uncategorized and tagged alpine, alpine flora, alpine plants, beauty, biology, botany, california, claytonia, Claytonia lanceolata, Claytonia lanceolata species complex, Claytonia megarhiza, Claytonia megarhiza species complex, Claytonia umbellata, Conservation, cotyledon, cotyledons, dicot, dicots, Flower, flowers, hybridization, monocot, monocots, Montiaceae, Morphology, Rare species, research, science, Speciation, Species complex, Spring Beauties, Spring Beauty, spring ephemeral, sympatric species, sympatry, variation in morphology, wildflowers by tstou10. Bookmark the permalink. What’s up with loss of second cotyledon? Is it used for something else? Or does it simply not exist? Strange.